The 2017 Lincoln MKC from Hattiesburg, MS is a compact crossover vehicle that radiates luxury from every facet. It perfectly combines comfort, convenience, technology, and performance for a deluxe experience that is sure to upgrade your travels. True to the highest standards of Lincoln tradition, there’s a nicely-detailed cabin that pampers everyone into a relaxing and cozy ride. Strong, turbocharged engines plus finely-tuned handling and steering should make drivers look forward to hitting the road. 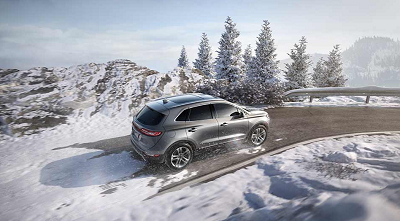 On top of these, the 2017 Lincoln MKC is equipped with state-of-the-art technology to make it one of the most exciting crossovers today. The blog article originally appeared on BaldwinMotorsLincoln.net blog page. Posted on November 23, 2016, in Business and tagged 2017, hattiesburg, lincoln, mkc, puts. Bookmark the permalink. Leave a comment.